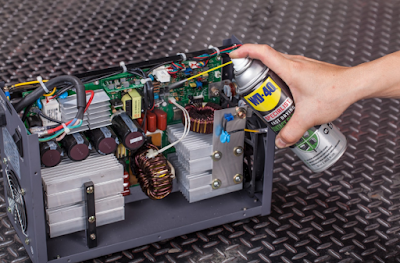 Whether you’re thinking of your printers and copiers, precision instruments like power drills, controls, circuit boards, switches or other sensitive electrical equipments, there’s always a specialist you can get to work on them, without having to spend tonnes of money. 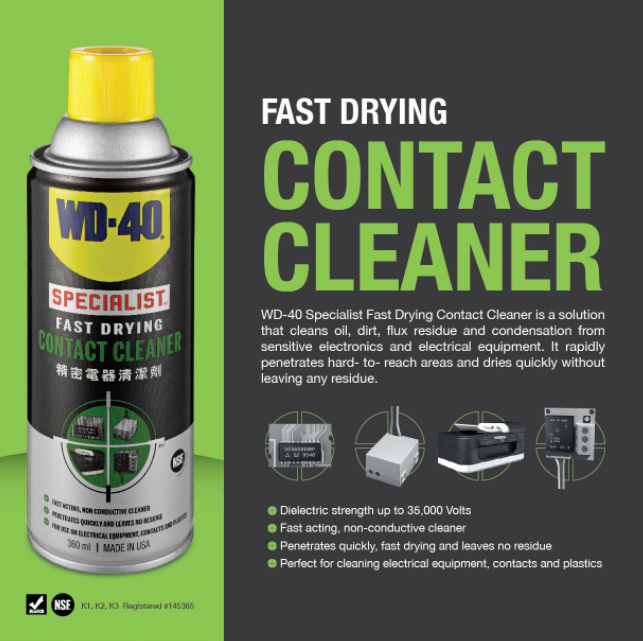 We’re talking about the WD-40® Specialist™ Fast Drying Contact Cleaner. But before you pick up the can, always remember to switch off the electrical equipment you want to clean and let any hot surface cool down prior to the cleaning process. 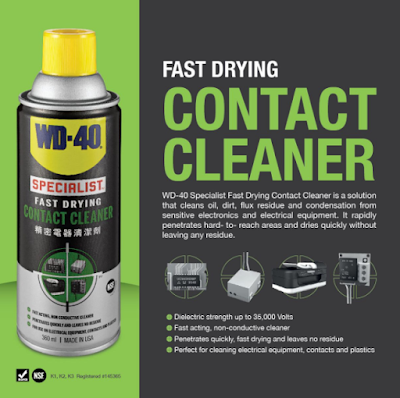 Once the equipment is ready to be cleaned, just apply a thorough spray of the WD-40® Specialist™ Fast Drying Contact Cleaner and then leave it for a few seconds for the magic to work and you’re done! It is totally quick-drying, so it won’t leave any residue. 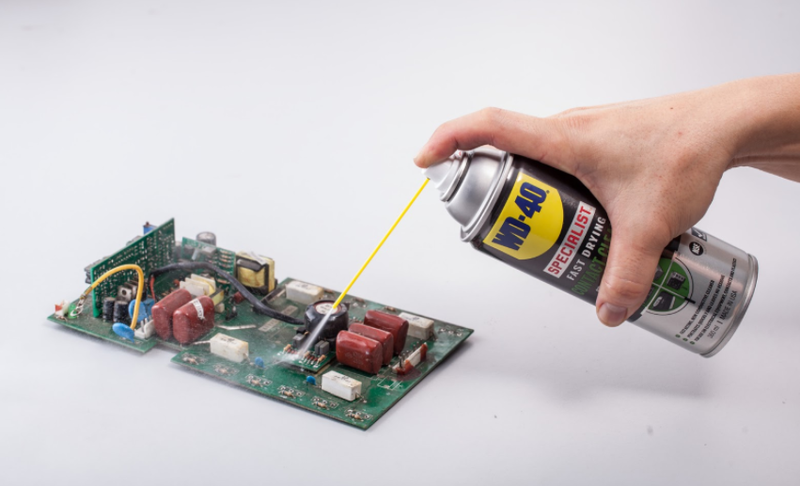 You may also use it on fuse blocks and electrical connectors. Just spray it on the connectors generously and make sure it’s completely clean before inserting it back into place.